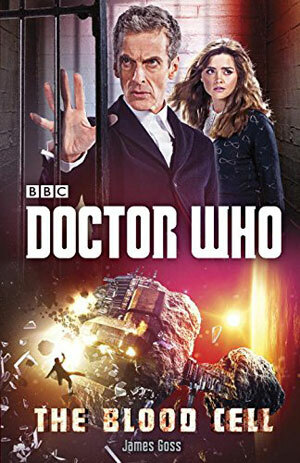 James Goss’ novel is set a little time after the episodes we’ve seen so far of the 12th Doctor (a couple of things which appear not to make sense in this will once you’ve seen Listen), and is unusual in that it’s a first person narrated tale – and that first person isn’t either the Doctor or Clara. We’re seeing them through the eyes of the Governor of The Prison, a man who isn’t half as in control of the situation as he seems to think he is. We’ve had stories with the Doctor in prison before and, as with so much connected to the Capaldi era, there’s a distinct flavour of Pertwee about this story, particularly the scenes in Frontier in Space in which he’s incarcerated on the Moon. It should come as absolutely no surprise to reveal that the Doctor has a hidden agenda, revealed in a little bit of an info dump, although given the structure of the book, it would be difficult for it to be done any other way. The story structure also means that for the first two acts, there’s not very much of Clara, which is a shame, because Goss captures the bickering between the pair (can’t be bantering – we know the Doctor doesn’t do bantering). With some horrific moments in this, notably towards the end (I couldn’t help but think of the original concepts for elements of Frontios, particularly as described in the novelisation), and an occasionally heavy-handed bit of political commentary, The Blood Cell perhaps will appeal to a slightly older readership than some of the other New Series Adventures, and with a deliberately slower pace to start with, it makes a good contrasting novel to the full pelt other books released alongside it.